Several weeks ago the Philadelphia Inquirer reported our opposition to the building of a new runway at Philadelphia International Airport. I felt an excellent job was done making our case that a new runway is not necessary because the problem is congested skies in New York that spill over to Philadelphia. Of course, since no one trusts us given our somewhat bottom-of-the-barrel customer-service record (see J.D. Power and Consumer Reports), I think readers were probably more swayed by the positions taken by Southwest and Delta. I am concerned nevertheless that we gave the impression that we don't care about passengers (who are we fooling . . . ) since the airport CEO maintains that a new runway would improve travel in and out of the airport, particularly during inclement weather. Also, given the city's position that we may be blackmailing them by threatening to curtail service if the runway is built (of course we would. See the screw job in Pittsburgh), we may want to modify our position somewhat. Therefore, I believe we should now embark on a new public-relations blitz saying that we are in favor of the new runway, subject to new surcharges and policies because of the hefty expense that we will bear. This, of course, is on top of the surcharges and fees we have already put in place regarding checked bags, premium seats and fuel surcharges, while offering less legroom than if you were an adult trying to stretch out in a crib. The new fees may create a little ouch, but I am confident passengers will be mollified when we introduce our new level of service in 2013, SubCoach, in which they can fly more cheaply than ever while strapped to the wings with as much baggage as they want to carry as long as we are not responsible if they drop it. * The installation of toll booths in front of every entrance to terminals A,B,C and F. Passengers will be required to pay a toll of $50 to gain access to the terminals. Including children under the age of 2 (enough with the babies. That little brat on the E-Trade commercials even talks). * Passengers who haven't figured out yet how to use the self-service ticketing machines and require assistance will face a surcharge of $10. For citizens above 65, invariably the most confused, a surcharge of $25 will be added. * Passengers who want flight attendants to smile upon boarding must note so upon check-in at a surcharge of $1,000. The smile will be no more than two seconds, followed by the usual flogging of passengers with those very mysterious snack boxes if they don't find their seats quickly enough. * Locks will be installed on all bathrooms in coach. The charge will be $20 and only coins will be accepted. 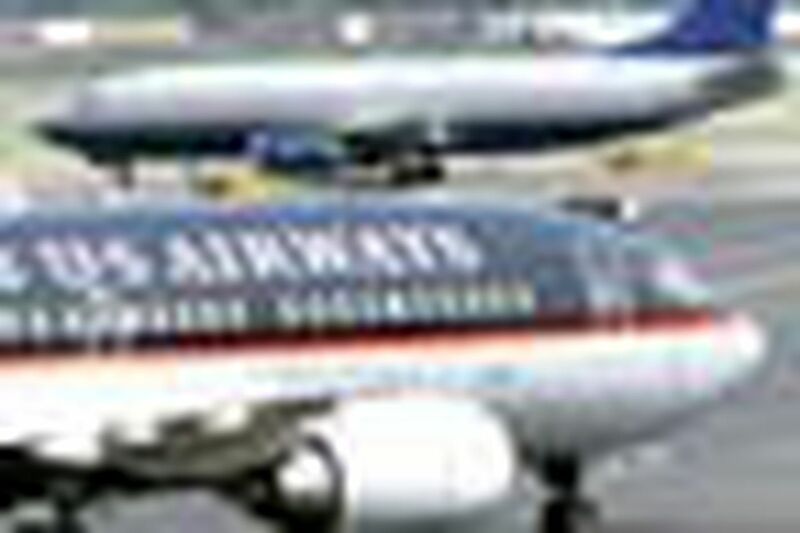 Flight attendants will carry change, but at an additional surcharge of $20. * Any coach passenger caught going through the curtain into first class to use the bathroom will be charged $100 before being shot in the leg by a U.S. marshal to discourage such further behavior. * Three hours will be added to every flight time to ensure on-time or early arrival. For example, the Philadelphia-Boston flight, which should take an hour, will now be scheduled to take four hours. If a flight does arrive on time or early, passengers will not be allowed to exit before throwing a $20 bill into the captain's hat. * Baggage pickup in Philadelphia, which generally takes longer than the flight itself, including trans-Atlantic, will purposely be increased by another hour. Those who want their bags without the additional wait must note so on check-in at a surcharge of $400. With these new policies and surcharges, I am confident the public will believe our efforts to build a new runway are sincere as long as we find new income streams. If employees have more suggestions, I am more than happy to hear them. As CEO, I have full use of my cellphone even when flying, so I can be reached during any flight on Southwest.